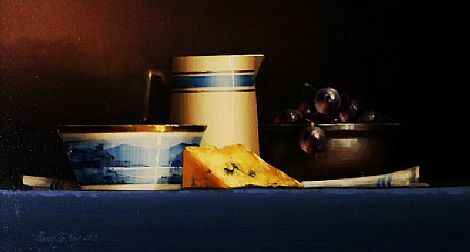 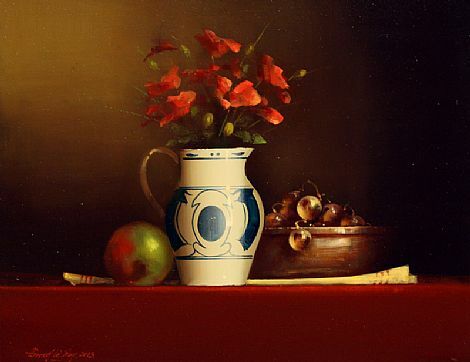 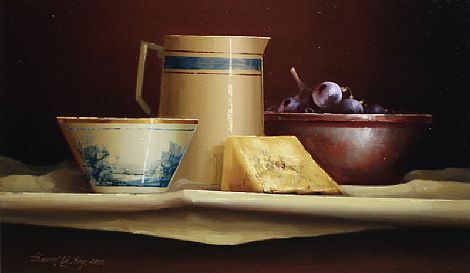 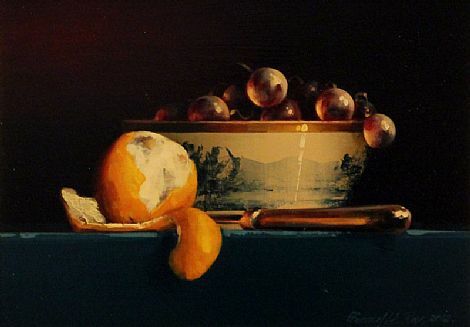 Irish still life painter David French Le Roy was born in 1971. 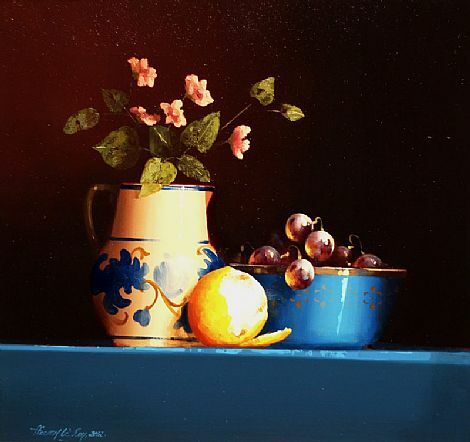 Primarily a self-taught artist, he began to paint at the age of 22, having his first exhibition at the Wexford Opera festival in 1997 which consisted of mainly contemporary work. 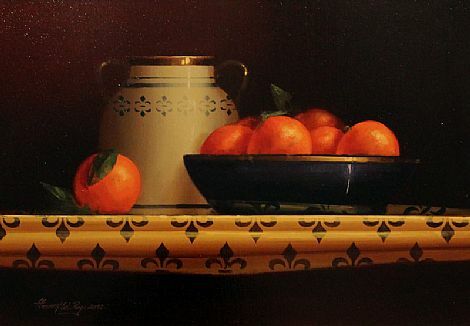 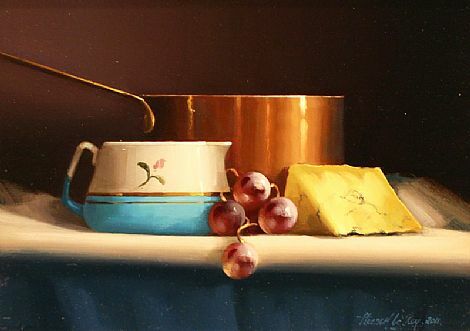 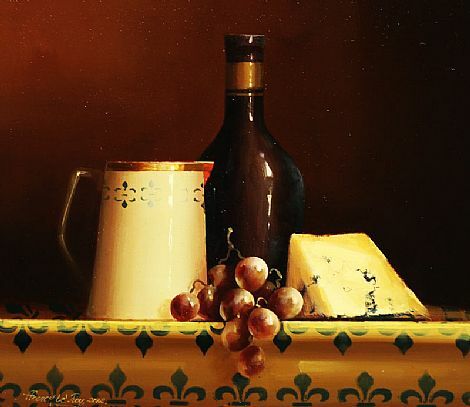 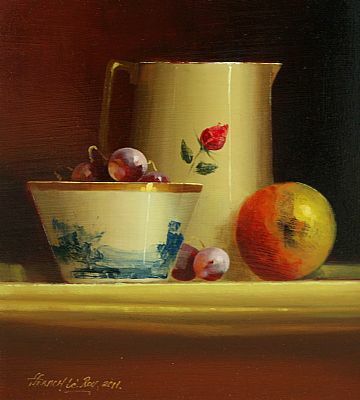 French Le Roy then became heavily influenced by the Dutch and Spanish still life painters particularly Williem Kalf and Luis Melendez and his work changed to a more traditional style. 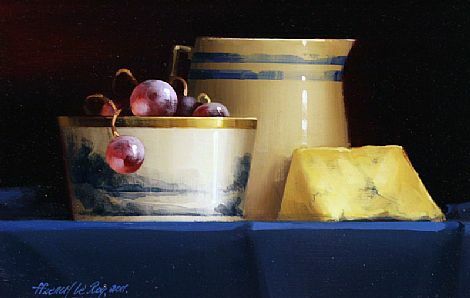 This led to more commissioned work and a successful second exhibition. 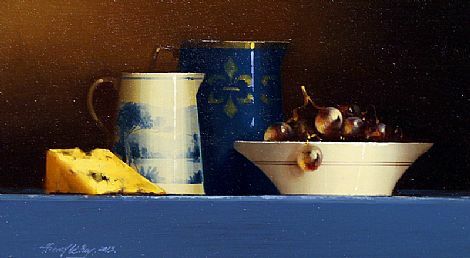 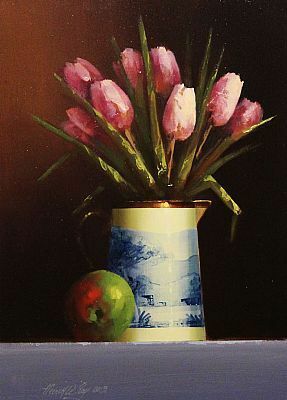 Since then he has continued exploring still life painting, spending time living in France and Australia before returning to Ireland, where he has had numerous successful exhibitions to date. 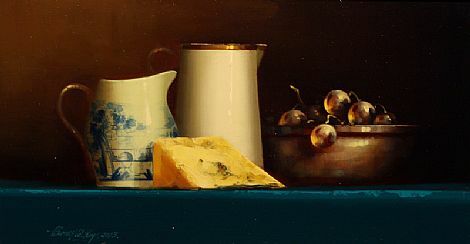 He was also commissioned to complete work for the playwright Billy Roche on his play Such as We at the Peacock Theatre which also included an exhibition of his work. 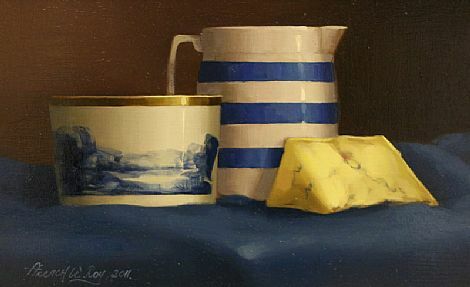 David French Le Roy now lives and works in Wexford and his work can be found in many public and private collections throughout the world including Ireland, UK, USA, France and Australia.